I was based at the GSK UK Research and development HQ in Stevenage, Hertfordshire, working in a department called Screening profiling and mechanistic biology (SPMB). During my time at GSK I worked to implement DoE (design of experiment) into standard assay development procedure. DoE is greatly helped by advanced liquid handling equipment and so through this work I had the opportunity to work closely with the team at ttplabtech*. This gave me the opportunity to improve my communication skills as well as providing me a chance to network outside of GSK. I also worked to transfer a biochemical assay from the SPMB department based in the US to the UK and started to screen compounds for candidate selection. 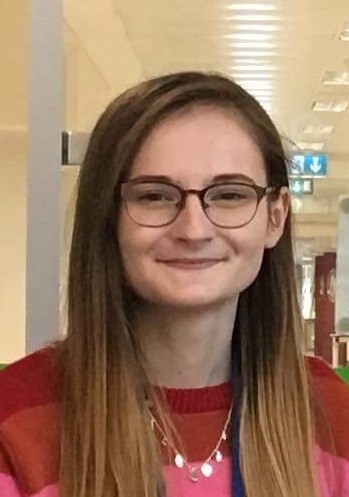 My placement highlights included being part of a project team and providing data that was having a real effect leading me to feel a real valued member of my department and the company as a whole. When I applied for my placement year in 2016 the application process initially started with filling out an online application form and 3 online tests and from the results of these candidates were selected for interview. This involved going up to Stevenage and having an interview with people currently working in the department I had applied for as well as a informal chat with the current placement students. I felt like my interview went disastrously and had accepted failure before I had even left the building. However I was rung the next day and was shocked to find I had been accepted. My best advice for those applying for placement and trying to stand out from the crowd is to join a society, preferably one that you can link to your chosen industry however this is not essential. Joining a society shows that you are a more rounded person and gives you a lot to talk about at the interview. I had recently joined the society Surrey Marrow, which is the student run branch of the blood cancer charity Anthony Nolan. This was a great talking point at my interview and I believe it demonstrated my communication skills as well as dedication to help patients, one of the key ethos of GSK. Finally my advice for anyone thinking of applying for a role at GSK is to just do it. I applied thinking that best case scenario would be to gain some interview experience and yet here I am going into final year having gained a great deal of confidence not only with laboratory experience but also within myself. * ttplabtech are a specialist technology company which developed the dragonfly discovery, an advanced liquid handling dispenser. **ECC note: You can book a Quick Query on Surrey Pathfinder to have your CV checked. Appointments are bookable online from 8am on the day of the appointment.